Three-quarters of the children who have died from the flu this season were not vaccinated, according to the acting director of the Centers for Disease Control and Prevention. On Friday, the CDC announced that 84 children have died of the flu since the season began in the fall. Several children have died from the flu in the last week, including a 6-year-old in Massachusetts, a 7-year-old in Georgia, a 5-year-old in Brooklyn and a child in Tennessee. One girl, a 6-year-old from New Jersey, died despite getting the flu vaccine, her family told a local news station. It’s clear the flu shot is far from perfect. Data released Thursday showed it was only about 36 percent effective at preventing the flu. However, among children the vaccine actually worked far better than that, even for the strain that is most prevalent this season, H3N2. The vaccine provided 51 percent protection for children against H3N2, Schuchat noted, and was 59 percent effective against all strains for children. “It’s been a very hard season for families, particularly those who have lost children. So we continue to recommend parents get their kids vaccinated, even though it’s fairly late in the season,” she said. In fact, the flu season may have finally peaked. The number of people who this week went to their doctors with influenza-like illness—that is, with a fever and a cough or a sore throat—was almost exactly the same as it was last week, according to data released Friday. 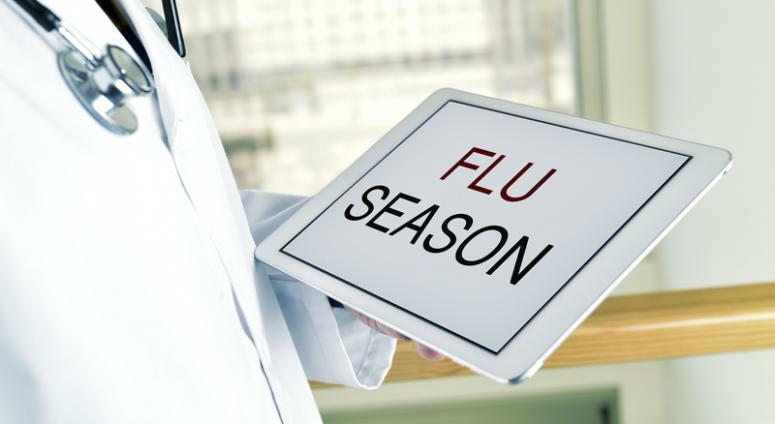 The percentage of deaths that could be attributed to the flu and pneumonia went down for the first time this season, the data showed.